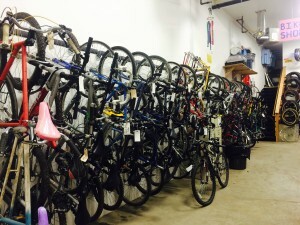 Off the Chain has a selection of volunteer refurbished bikes for sale for $50-$150. All bicycles were once donations from the public. Please stop by the shop during open hours to see the used bikes we have available.